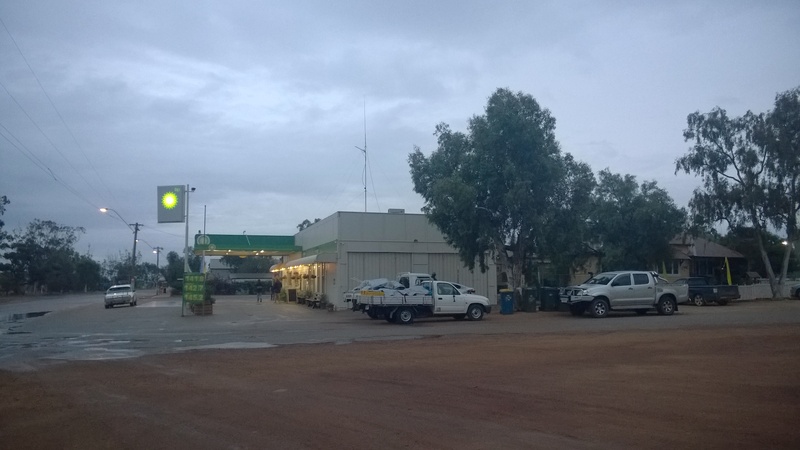 The truckers’ library, or at least the one I used to use, is a cupboard on the back verandah of a ramshackle roadhouse at Wubin, a town of 50 or 100 people on the northern edge of the Wheatbelt, 275 km north of Perth. And it is part of the reason why truckies are amongst the best read people in the country. No other profession gives you so much spare time. I spend up to 15 hours a day staring out into space. For many years all I had was the ABC. In each state there are one or two transmitters that, at night, can be received for thousands of kilometres. I have followed footy matches on 774 or the former 3WV near Horsham routinely in Qld west of the divide and as far north as the Barkly Tablelands. In the daytime I could get Victorian ABC in central NSW or would move from station to station. Bourke NSW has (had) an excellent public radio station and there are RNs and TripleJs everywhere flicking in and out of existence on the FM band within 20 or 30 km of each main town. Of course, I have an extensive collection of cassettes, bought and made up. One of my son’s mates would make me punk compilations, Lard or Dead Kennedys anyone? But I think the last truck I drove with a tape player was back in 2008. The next big thing after that was CD stackers, but now I have 1,000 songs on a usb flash drive and the cd slot is for books. Nearly every driver I know listens constantly to books. When I was introduced to audio books, 8 or 9 years ago at Wubin, they had a cupboard full of Bolinda books from which you could borrow indefinitely for a one-off fee of $30. I was introduced to adventure writers like Matthew Reilly (once was enough!) or Robert G Barrett (ditto) but also to Kerry Greenwod and John Marsden. I fought to listen to the Ellie Chronicles in order, there were multiple copies of the most popular books but still it was a lottery to find the one you wanted at the moment it had been returned. Other authors I recall were Thomas Keneally, Tim Winton, Peter Corris and Peter Temple. And drivers would leave books with the library after they had purchased and read them, I read Margaret Attwood that way, The Year of the Flood, and many others which have gone completely out of my head. Once I had used up Wubin I began to get my books from the local libraries, and to keep my own records. 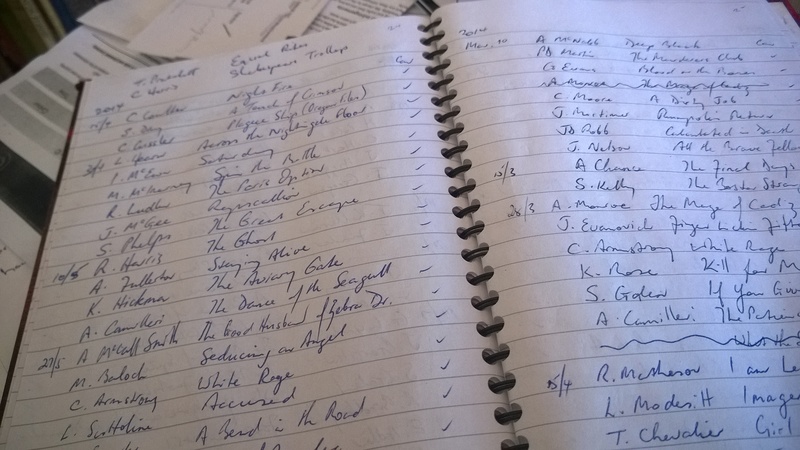 Last year I listened to 185 books, endless US and British detective fiction, but in amongst them some good things, Ray Bradbury reading his Farenheit 451, 1Q84 by Haruki Murakami, Wilkie Collins’ The Moonstone (1868) and so on, and some fun things, Terry Pratchett, Charlaine Harris’ Sookie Stackhouse novels. I now know more about Americans than I ever wanted to know, they eat so much! donuts, pancakes with syrup AND bacon, even when they go out on a date. Doesn’t anyone over there order a bottle of white and a seafood paella? But the point I should get back to is that truckies are listening to hundreds of books each year and inadvertently no doubt in many cases they are listening to good books and maybe the majority of them don’t have the framework to get a lot from those books but they will be getting something, and through Greenwood and Keneally and Winton, who are ubiquitous in Bolinda book stands, they will be getting a deeper understanding of Australia. And that is a good thing. This is such an interesting and arresting idea – the reading habits of long distance drivers. It challenges our assumptions and stereotypes. It’s just sort of thing that might find a home, for example, in The Monthly’s dispatches section…. I started a survey a year or two ago amongst my workmates. I might dig it up and write up the results.